If you are under 21 and Medicaid-eligible, you are required to receive the Early and Periodic Screening Diagnostic and Treatment (EPSDT) benefit. The main purpose of this benefit is to prevent and provide early diagnosis and treatment of medical conditions, including dental services. If you need implants to replace permanent teeth, Medicaid may cover the cost of this treatment. However, it’s unlikely that this kind of coverage will be provided as dental implants and other implant-supported options are regarded as an elective treatments. Medicaid is designed to cover basic treatments such as tooth extractions and their replacement with partial or full dentures. It is rare for Medicaid to cover the cost of a fixed bridge and even less likely that it would ever cover the cost of a dental implant. Not unlike many dental insurance companies, Medicaid takes the view that only the least expensive alternative treatment will be covered, rather than the best possible treatment. Medicaid was set up to provide essential medical services for people with low incomes. It will often completely cover the cost of these services. The program is funded by state governments and by the federal government but is managed by the states. Every state has to follow the basic guidelines for Medicaid, but individual states are able to set eligibility guidelines as to which healthcare services will be covered. This means they can determine whether or not to provide dental care coverage for Medicaid recipients who are over the age of 21. If they do provide dental coverage then they can decide whether this will include implants. If you are covered under the Original Medicare (Part A & B) then, unfortunately, you will not have coverage for the majority of dental services. This includes routine dental care and examinations, as well as cleanings, tooth fillings, extractions and implants. Dental coverage under Medicare is extremely limited and the only way they might consider paying for dental implants is as part of a full mouth reconstruction. A patient might require this kind of treatment if there has been significant damage to the tissue or jawbone as a result of an injury or disease. Most routine dental care isn’t covered by Original Medicare. The only dental services that are covered by Original Medicare are those that are deemed to be an essential part of another Medicare covered procedure. For example, if you require heart valve replacement surgery or a kidney transplant, you may be covered for a dental exam before surgery, as it is considered essential to confirm that you don’t have any dental diseases that could affect the outcome of the procedure. 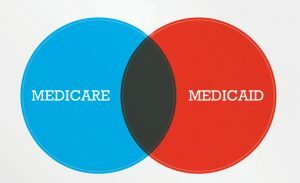 All Medicare Advantage plans will include at least the same benefits as Medicare Part A and Part B. Some of these Advantage plans include benefits not covered by Original Medicare such as routine dental care and optical benefits. These additional benefits depend on the individual plan. Medicare Part A is a hospital insurance plan and people who are eligible can enroll free of charge. However, anyone who doesn’t have Social Security coverage will need to pay a portion of the premium. Anybody who applies for Social Security is also automatically applied for Medicare, but anybody applying for Medicare isn’t automatically assumed to be applying for Social Security. Medicare Part B is an insurance program that will cover medical costs from doctors, outpatient providers, and surgeons, as well as medical supplies fees. 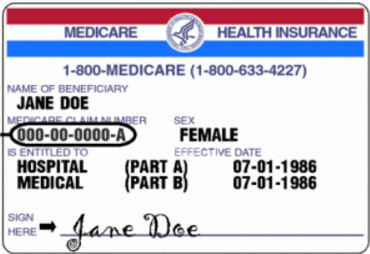 Anybody who is eligible for Medicare Part A is able to select supplemental Part B coverage. In order to benefit from Medicare Part B, a monthly premium must be paid. It’s generally the case that anybody who obtains routine care provided by out-of-network providers will not be covered by Medicare or by a Medicare Advantage HMO plan for the costs. You become eligible for Medicare at age 65, but you don’t have to wait to retire in order to enroll in this program. Anybody who applies for Medicare is eligible for both part A & B. It’s worth signing up for Medicare Part A even if your intention is to continue working after age 65. If your union or employer provides health coverage, signing up for Part A may still help to cover some of the expenses not covered by a group health plan. We’re interested to know – are you eligible for either Medicaid or Medicare and what dental treatment you looking to get? Let us know by leaving a comment below! I am in Pennsylvania and Medicaid did pay for my extractions and a full set of dentures. However, my dentures are a joke. They are too big for my mouth. I only wear the top. And about 6 months after they were made, I lost a tooth in my top plate. The dentist who did the work (and I use the word “dentist” very,. Very loosely) was the only one in my area that I could find to do the work. When I complained about the dentures was told to get over it, there was nothing he could do and I would have to deal with it. So now I have no teeth, a sunken face, and lines forming around my mouth. Not to mention, I can’t eat anything crunchy, crispy, hard, etc, etc. Evidently, I can be reevaluated and possibly get another pair but not for 10 years. I just think dental implants would be more economical in the long run. I hate my face now. I don’t smile any more. I feel very unattractive and insecure. I am a 46yo disabled female with various autoimmunes and gastro illnesses including 2 that affect my mouth/teeth: GERD and Sjogrens. I have been receiving some dental Care by meeting my ridiculous Medicaid Spenddown. Yet, the answer is to extract teeth and not crown etc. the teeth since that wouldn’t be covered by Medicaid. I can’t do dentures as a result of my Sjogrens or I would consider it. Trust me i already asked. My teeth were fine then within a short amount of time almost all of my teeth were affected. I remember when I stumbled across Dental Lifeline, I cried because I thought I found hope. Not! I have been on Dental Lifeline’s wait list for almost 2 years n don’t expect anything to happen in the next few years. The miniscule dental work I have been receiving has been thru a sliding scale fee clinic. Yet, what I truly NEED is to have dental implants. I don’t understand how/why REAL dental Care is not covered by Medicare when it is not by my own doing. Yet, I hear about state funded dental programs paying for reconstruction due to drugs, etc. and/or non profit programs to aid in reconstruction for drug addicts. I am not one who is prideful but I did take pride in my appearance. Yet, this has lowered my self esteem substantially and caused me to be depressed. I smile with my teeth which were naturally yellow to begin with and are now totally disgusting and embarrassing. I refuse to date or have my photo taken now as embarrassing as my teeth have become. It truly is said that Medicare does not cover dental Care when the root cause for the need is one of their recognized disabilities. Maybe someday their will be hope for others like me. Sadly, I just don’t expect it to be in time to help me. I have Medicaid and I am over 21 yrs old. My teeth are in bad shape I can’t really eat well and embarrassed to talk or smile. I had beautiful teeth but no matter what I did one by one they have gone bad and have been removed. I’m very depressed and sad. I had cervical cancer and anemia I was left with nerve damage from having cancer removed. I am only 48 yrs old and I am low income and can’t afford implants I don’t want dentures I won’t do well with them. I pray everyday to somehow be blessed with implants. My credit is low due to low income. I am a 55 year old school teacher living in Meridian, Ms. I have Delta Dental but it only pays $1,200 a year. I’ve always had bath teeth, my mother did too. I took part of my retirement out five years ago and got veneers on the top and they are decaying underneath and causing me embarrassment. I have 6 teeth on the bottom. I am looking for any help I might qualify for but unsure what’s available to be besides my work dental plan. My teeth have been a source of shame my whole life but I’m not rich. Can y’all help? I am a 69 year old unmarried woman. A medical trauma left me with 9 titanium rods around my spine AND big medical bills that wiped me out financially. I have heart problems and epilepsy. I have been conscious of good dental health all my life UNTIL I suddenly had zero money for dentistry. After 10 years without dental care I have had to have all of my back teeth extracted. I have to chew with my front teeth. I also have substantial gum disease. The only insurance I have is Medicare and Medicaid. I AM HEARTBROKEN and ashamed. I cry every day, praying for some way to earn the money it takes for implants. I didn’t ever think I would die alone – I am a pretty woman except for my teeth. I dreamed of finding a partner with whom to share life. Now, it’s just not going to happen. Is there ANY way to find implant help in my circumstance? I’m so sorry to hear about your situation. Please don’t cry, it’s making me cry. I am in the same position. I’m really struggling financially and can’t find a job despite my master’s degree in business. I think rather than implants you should just get dentures, they would be much much cheaper than implants which will cost tens of thousands of dollars. Search online for information…maybe there’s a non-profit in your area who helps pple in your type of situation. Please keep your head up. I was doing some research last night and wanted to share it with you. Contact dental schools in your area. They will do work on you at a reduced cost in exchange for you allowing their student-dentists to do work on you. Of course they’re supervised by a “real” dentist. Secondly I came across numerous locations providing dental work to patients over 60 and/or who are of low income in my area. Google for some in your area. I was really surprised at the number of clinics I found. Best luck, please dry your eyes. I really hope you see this reply given how long it’s been since your post. I wanted to let you know YOU’RE NOT ALONE! I was in a similar situation as you and am now FINALLY GETTING IT RESOLVED!! I got a job with no dental insurance. It paid much better than my previous jobs so I lost HHW, which actually covered dental back in 2014. I had nearly constant dental pain for 2 years. I would slowly save $$ to get 1 tooth pulled & then another would get infected & cause a ton of pain. I couldn’t afford root canals & crowns for all my teeth. My only option was to have them pulled. The 1 and ONLY crown I paid a ton for so I’d be able to have SOME back teeth to chew with, broke off with the tooth, leaving the root in the gums, after only a few months. So I feel your pain with having no back teeth to chew with. In 2017 I had Medicaid, HIP Plus (Healthy Indiana Plan – Plus). All my teeth had been chipping off, cracking, breaking off, etc. In March 2017 my teeth were so infected it spread to my sinuses & ears. The bridge of my nose was swollen, my sinuses near my cheekbones were swollen & painful, EXTREME FATIGUE, my ears hurt, it was difficult to hear, my equilibrium was off, constant running nose & sinus pressure & my whole body just hurt. (Ironically my teeth didn’t actually hurt). It caused a flare-up with my fibromyalgia & made my chronic fatigue syndrome even worse! ALL because of infected teeth. FYI – I’m a single mom of a special needs child, work full time & have multiple physical & mental health issues. I had to deal with all these dental problems & pain while continuing to work & care for my son. Medicaid would only cover 4 procedures a year (ex: each tooth pulled is 1 procedure). However, because of not being able to afford to properly maintain my teeth I had gotten to the point where my teeth were no longer worth saving. I needed them ALL pulled & then get dentures or implants. Medicaid will not cover having all my teeth pulled nor dentures. So from March thru December 2017, I repeatedly got sinus infections with the symptoms I stated above. I’d get 1 tooth pulled & have to take multiple antibiotics (because the infections started to become resistant to antibiotics), which usually caused horrible diarrhea & stomach pain. I’d feel better for a couple days up to 2 weeks MAX, then start the whole cycle over again. This is for Indiana Medicaid, but hopefully other states have something similar. I managed to get switched FROM – HIP Plus TO – the HIP STATE Plan Plus. I don’t think there is any way to get Medicaid to pay for implants. I found this post while searching or some kind of loophole to get them to pay for it. Not finding anything. Getting switched to the State Plus plan can be a difficult process & you have to meet certian criteria to be eligible for the State Plan Plus. I was able to qualify as “medically frail”. To do this you have to go thru your provider, i.e. MHS, MDWise, Anthem, etc. MHS tried to say they can’t make the decision to switch me to the State Plan Plus or to qualify me as medically frail & kept trying to push me off onto FSSA. THIS IS INCORRECT. Your insurance provider, MHS or Anthem, etc is who YOU have to go thru to get onto the HIP State Plan Plus. You’ll have to call repeatedly until you get someone who will ACTUALLY help & knows what to do. Sometimes if the person is useless you can TRY asking to speak with a supervisor & you may have better luck getting what you need by talking with the supervisor.